Dandelions are my friends. They always have been. I’ve never understood the hatred some direct towards these most wonderful, helpful plants. Sure, we gardeners don’t want them crowding out our other plant allies, but we should accept and embrace their tenacity in our lawns. They are full of nutrients, possess healing qualities, and are entirely edible! 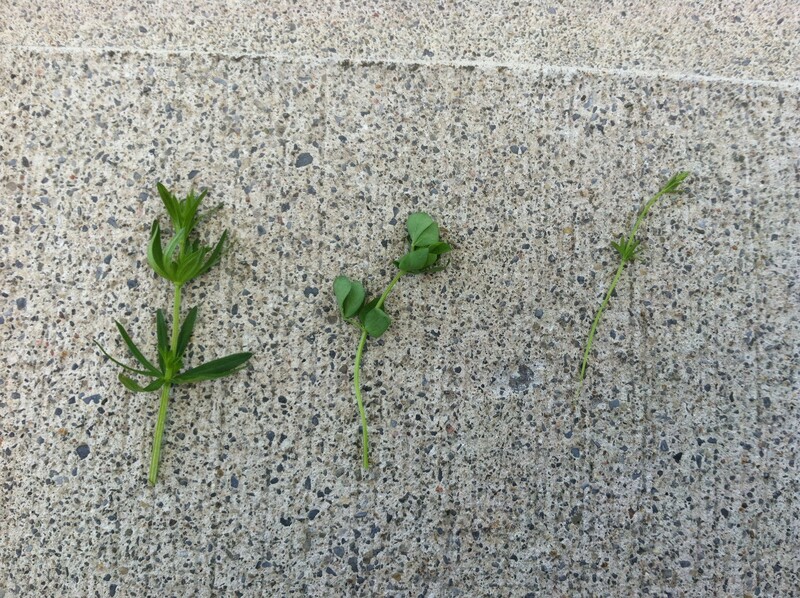 Furthermore, for someone starting out foraging, they are one of the easiest plants to identify. Since Bealtaine, I’ve taken several opportunities to further experiment with the humble yet lovely dandelion. Their young leaves are excellent in salads and stir-fries (though be prepared for bitterness), and their dried roots are an excellent coffee substitute. But I wanted to try more. 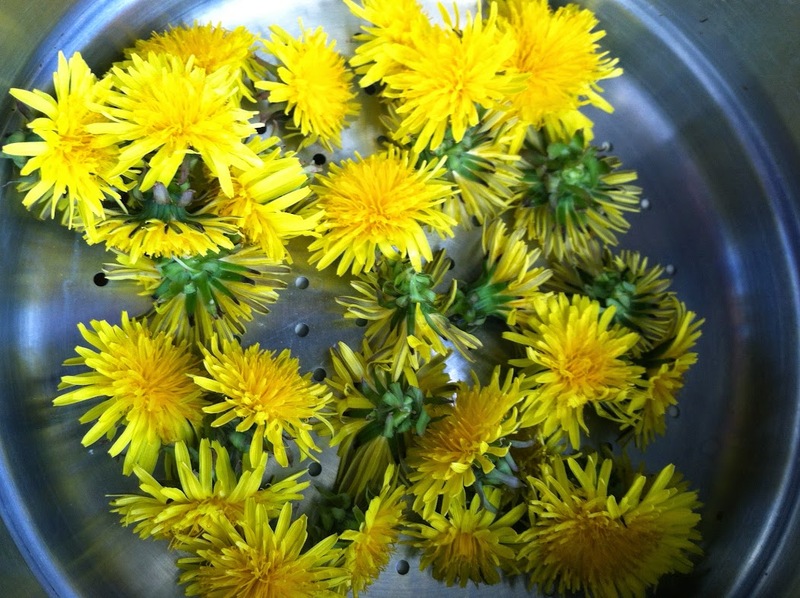 A previous year, I attempted to make dandelion jam and failed miserably. I want to try again when I have less baby to chase, but I came across some other excellent recipes to try that used the flowers. I even enlisted my baby to help me pick some! Wash them first! Photo by Grey Catsidhe, 2014. The first I tried were dandelion cookies. Yum yum! Use this recipe, which calls for organic ingredients and local honey for sweetener. 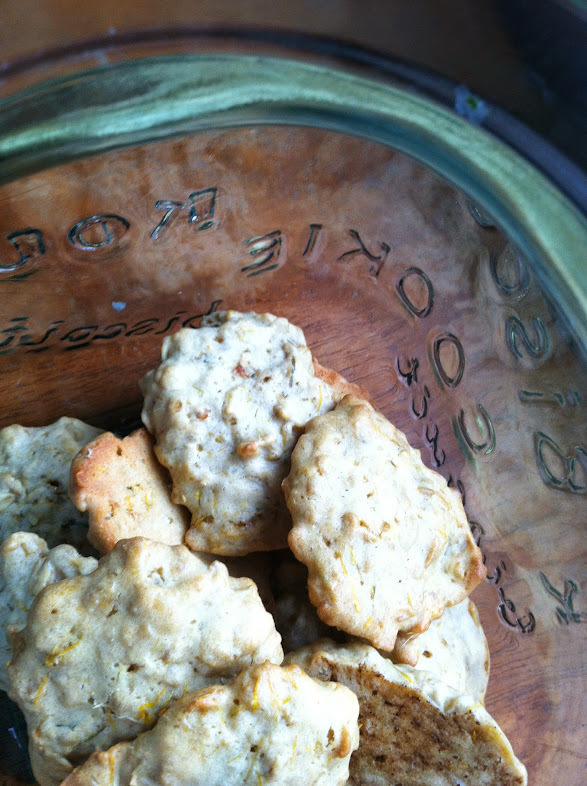 These cookies are sweet, and the flowers give it a subtle flavor. My husband was skeptical to eat them since, as he says, they look a little hairy – but he enjoyed them! He would probably like them more with chocolate chips. 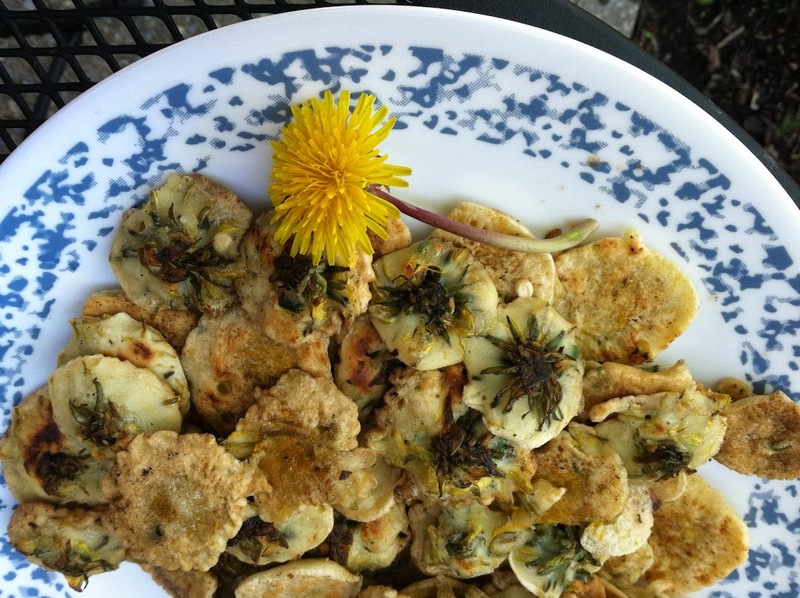 Another new favorite recipe I tried comes right from the Mountain Rose Herbs blog – Dandelion Fritters! This is a great side dish for lunch or dinner. It could also be an excellent snack. Although you need to fry these in a pan, it’s a good way to add some extra greens into your diet. In addition to the sweet flowers, the green from the sepals and end of the stems provide a slight bitter aftertaste. Mixed with chives and garlic – yum yum! Bealtaine means dandelions in the North Country. Why not add some to your menu? We joined some friends to harvest blueberries today! We weren’t able to get too many – we ended up with about two cups worth. They are very tiny but so full of flavor! Quite different from most store-bought varieties. Collectively, we probably picked enough to make a pie, but apart… I think our two cups will go towards muffins and pancakes. For now, they’re freezing. We also went for a hike through my friend’s inherited land. It’s a really lovely and wild place. You can tell he loves it – he shared so many memories of the land, and I could feel his grandfather, who he inherited it from, smiling at us. To me, each forest in Upstate New York has similar energy. Forests in other places don’t feel quite the same. It’s like there’s a different overall spirit to them. All forests in Northern NY feel somehow related… ecologically, they are in a similar zone with similar ecosystems so it makes sense. There are some subtle differences, of course. Compared to the forest near my apartment, this was wilder, perhaps even happier with a distinct lack of litter. I could feel how vibrant it was. 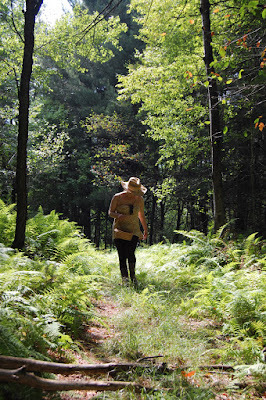 Me walking through the ferns. Photo by Weretoad, 2012. Baskets of blueberries. Tiny, tiny blueberries. Photo by Weretoad, 2012. We saw all sorts of little critters. Photo by Weretoad, 2012. We also saw other lovely plants that I want to identify. Photo by Weretoad, 2012. Can you find the frog? Photo by Weretoad, 2012. A wetland full of life. Photo by Weretoad, 2012. After returning home, before doing anything with the blueberries, I made an offering of what I thought were the nine best, biggest, and plumpest berries to the Nature Spirits. For such a wonderful day and the harvest, they deserve it! Although I’m sore and have some bug bites, I’m already looking forward to next year. 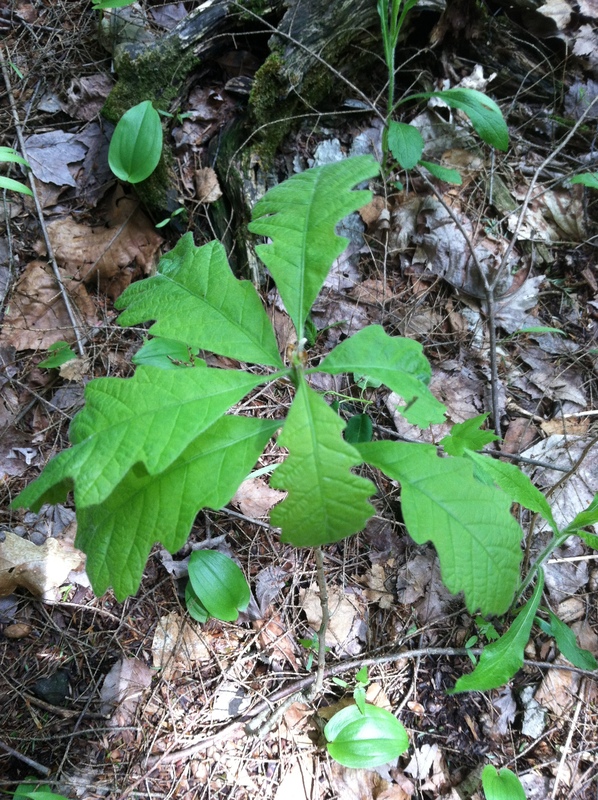 Upstate NYers should be aware of the dangers associated with Giant Hogweed. People new to foraging and wildcrafting (like me!) and parents with children who like to gather wildflowers should be extremely careful and have field guides on hand. Check out the post from North Country Public Radio to get informed. A big, nasty plant .